Today an information was received through a docket at P/S Reasi that a person namely *Balbir Singh S/o Jagmeet Singh R/o Bhaga Sirla and his servant namely Romesh Chander S/o Premoo R/o Bhaga Sirla were using their business establishment i.e. 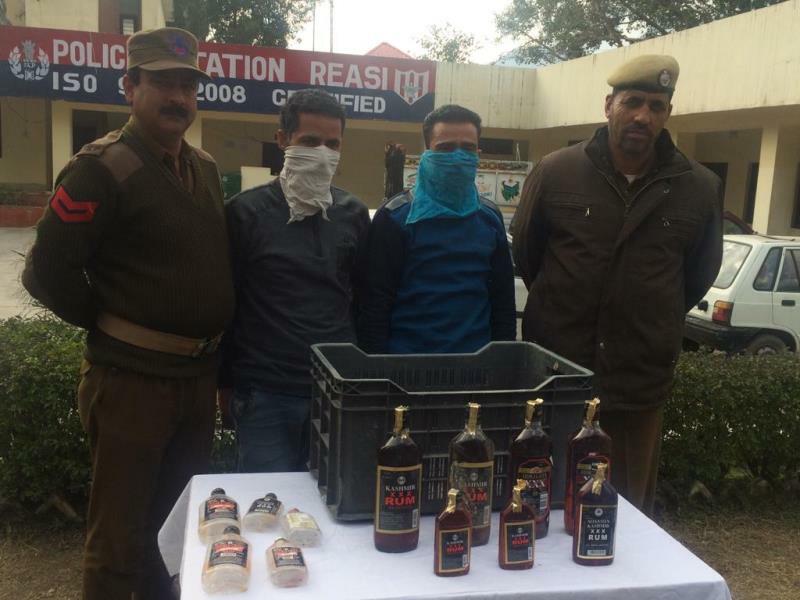 Karyana shop as a Bar* and nabbed the above named culprits who further revealed that some proxy persons are transporting liquor from Reasi to their shop at Bhaga Sirla. In this regard, *a case FIR No. 25/2019 U/S 50/50A Excise Act was lodged at P/S Reasi on 05.02.2019*. The arrest was made by team led by Inspr. Ashwani Kumar SHO P/S Reasi under the supervision of Dr. Nikhil Gogna Dy.SP-Hqrs Reasi, Sh. Shiv Kumar Chouhan Addl. SP Reasi and overall supervision of the SSP Reasi Ms. Nisha Nathyal.